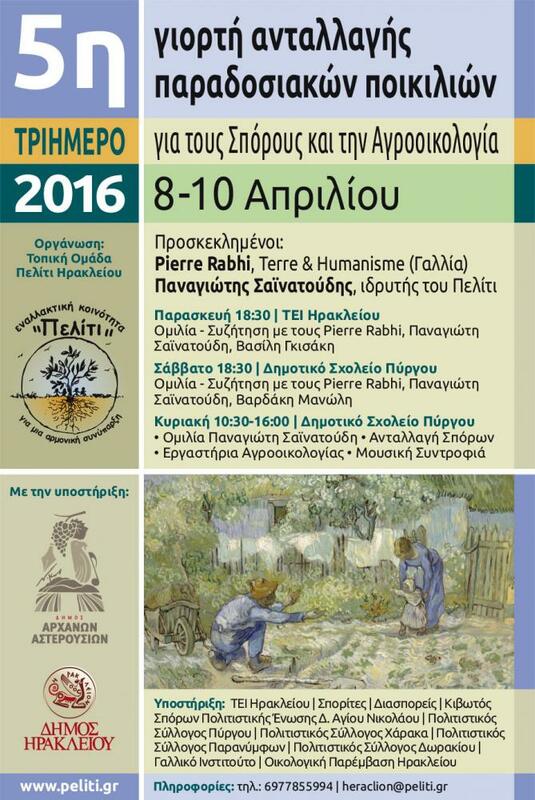 LIFE Natura2000Value Crete participated in the 5th Festival of Traditional Varieties Seeds Exchange in Pyrgos, Municipality of Archanes - Asterousia, on Sunday the 10th of April 2016. The festival has been organised by the Local Group of the Alternative Community Peliti since 2012, aiming at the promotion of organic farming, alternative agricultural methods, the conservation of traditional seeds, the free exchange of goods and the solidarity among the local communities. 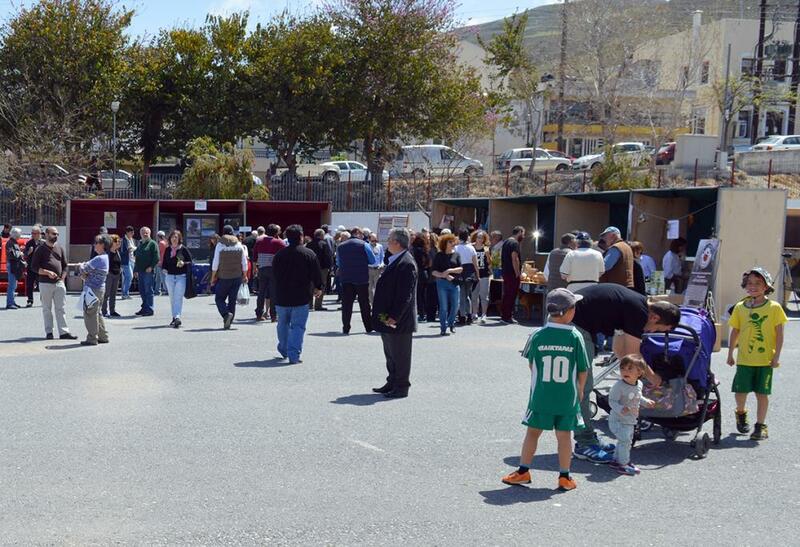 The festival lasted three days, peaking with the events of Sunday, the 6th of April 2016 which took place at the courtyard of the primary school of Pyrgos. 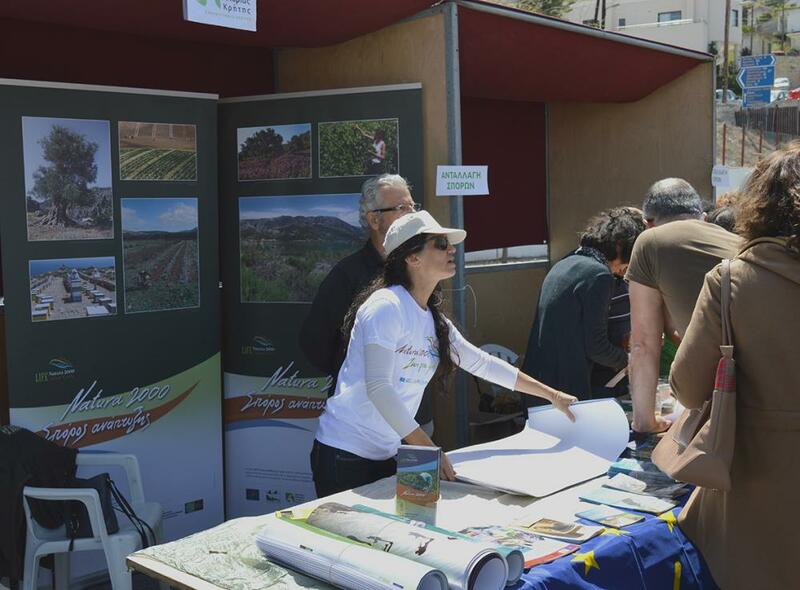 Over 300 people attended the seminars and the oral presentations included in the day’s schedule, and at the same time they had the chance to exchange thoughts and ideas with organic farmers, local craftsmen, Communal Cooperative Enterprises, producers, environmental groups and the Natural History Museum of Crete, who had opened their stands and were promoting their products and services. 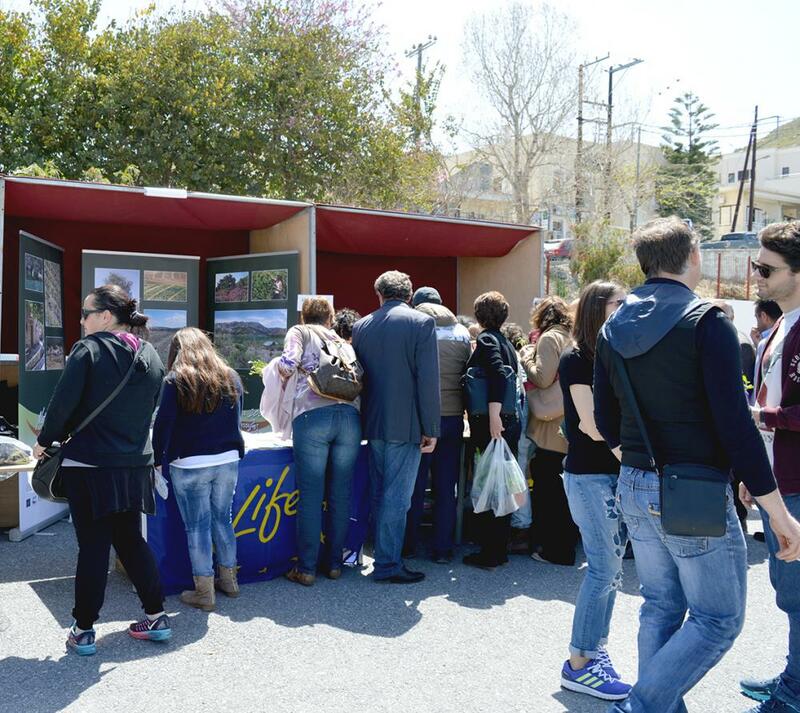 During the festival, the National History Museum of Crete promoted the project LIFE Natura2000Value Crete, which is currently under implementation. 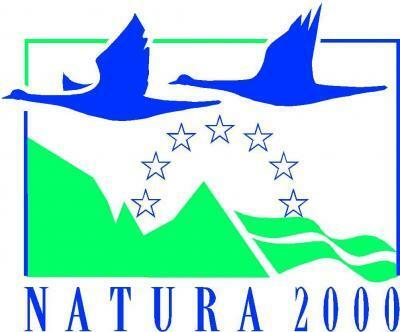 They distributed communication material and informed visitors of the NATURA 2000 Network in Crete, the Cretan biodiversity, the ecosystem services of the natural environment, the priority species under protection on the island and issues that concern habitants such as, the current growth model, the lack of environmental conscience, the personal and institutional responsibility of every citizen towards the landscape, the environment and the quality of life of the local communities. 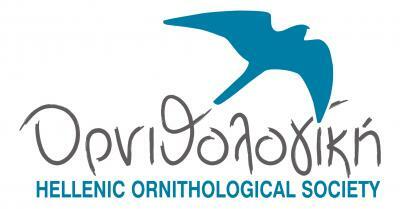 The project’s actions include participation in local festivals thoughout Crete for the next 2 years, in collaboration with the local authorities and associations of the island.